Once again, the editors of our lectionary leave me baffled. If you note the verses of the Gospel reading, you will see that twenty whole verses have been deleted. In those deleted verses, we find the feeding of the 5000 and the account of Jesus’ walking on water—both amazing stories for any preacher to expound upon. What is left after the editors have done their work is a paragraph about Jesus and the apostles needing a day off and another paragraph about how they didn’t get it. In protest, I have decided to preach on the topic of houses! The English word “house” is an interesting word with a range of meanings. A house can be as small and humble as a hut. Or it can be as large and grand as a palace or a temple. And when we use phrases such as the “House of Tudor,” we mean something different still; we refer, of course, not to a building, but to a royal dynasty. As it turns out, the Hebrew and Greek words for house have virtually the same semantic range. The reading from 2 Samuel and the reading from the Letter to the Ephesians, each in its own way, have to do with houses. King David decides that God needs a house. Up till this point in the history of the nomadic Israelites, God had been worshiped in a large tent. In the center of that tent was a wooden box, the ark of the covenant, and this box served as God’s throne. 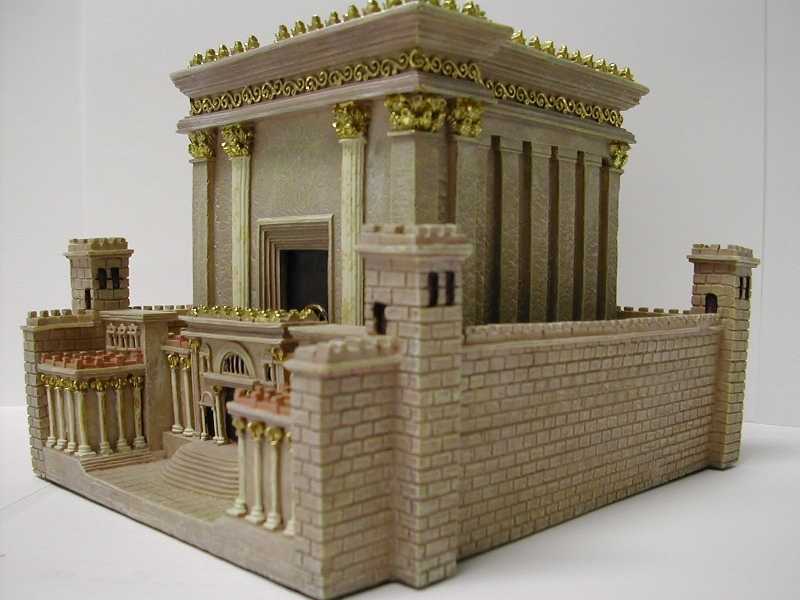 But now, King David has a new house, a grand palace built of imported cedar. Perhaps out of genuine gratitude, or perhaps out of competition with neighboring nations, he decides that the God of Israel needs a new house as well. At first, the prophet Nathan agrees. But then he receives word from God that the house is a nonstarter, at least for now. The prophecy that Nathan receives is drenched in irony. God says, “You would build me a house? I don’t think so! Instead, I will build you a house! You would build me a temple; instead, what is going to happen is that I am going to build you a dynasty that will last forever.” Paradoxically, King David is rejected and rewarded all at the same time. He is rejected in that God does not accept his offer to build a grand temple, but he is rewarded in that his royal line will rule in perpetuity. Now, 2 Samuel does not offer a reason for God’s rejection, but 1 Chronicles does. There, God himself says to David: “You have shed much blood and have waged great wars; you shall not build a house to my name, because you have shed so much blood in my sight on the earth. See, a son shall be born to you; he shall be a man of peace. I will give him peace from all his enemies on every side; for his name shall be Solomon, and I will give peace and quiet to Israel in his days.” And so it was that the first Jewish temple was built during the reign of David’s son Solomon. Today’s reading from the Gospel of Matthew looks like a straightforward debate over taxes, a topic we’re hotly debating to this day. But there’s more going on here. An unnatural coalition of Jesus’ opponents has come together to bring Jesus down. I say “unnatural” because the Pharisees were a local religious sect, while the Herodians were political lackeys of the Romans coming from outside Judea. The Pharisees and the Herodians didn’t have anything in common, other than their antipathy to Jesus—but politics and religion make strange bedfellows! The Pharisees and Herodians posed the perfect “gotcha” question: “Is it in accordance with God’s law to pay the Roman poll tax?” It was a trick question, you see, and there was no right answer. 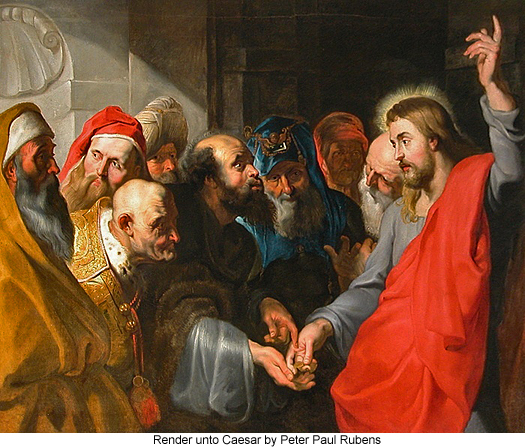 If Jesus answered, “No, it is not lawful to pay the Roman tax,” then the Romans would have arrested him for sedition. If he answered, “Yes, it is right to pay the tax,” then he would have alienated a large percentage of the Jewish people, who resented the heavy taxation of their Roman masters. Either way, it would be the end of the Jesus movement. Or so Jesus’ enemies hoped! But Jesus saw through the trap, and he cleverly avoided it. He refused to give the yes-or-no answer that his opponents had anticipated. Instead, he asked them to show him a coin and then asked them whose image and inscription was found on the coin. They responded, “Caesar’s.” Chalk up one point to Jesus! Already the Pharisees had made a fatal error, for their delegation publicly displayed a Roman denarius while standing in the Temple precincts and by so doing had committed sacrilege. 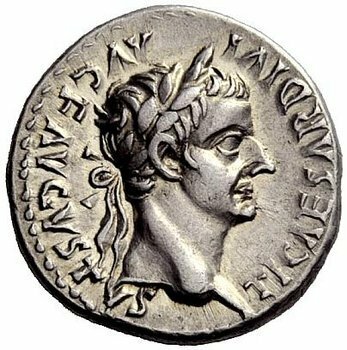 You see, one side of the denarius displayed the image of Tiberius Caesar, and it proclaimed him the son of a god, that god being Augustus Caesar. To display such a coin on the Temple grounds was tantamount to committing idolatry. So, Jesus scored a point against the Pharisees even before he gave his real response by showing that these particular Pharisees were idolatrous hypocrites! Sermon preached at the Church of the Incarnation on September 7, 2014, by Christopher L. Webber. Well, here we are again at that time of year and you have to wonder whether the committee that planned the readings for today was thinking about the new school year when they chose that passage from Exodus. This still is the “beginning of months” – and not just for school kids and teachers. We’re less than three weeks from Rosh Hashanah, the Jewish New Year. We are one week into the Eastern Orthodox Liturgical new year. We’re less than two weeks away from celebrating the hundredth anniversary of this parish and beginning the new parish year, the one hundred and first parish new year. But how many New Year’s Days can you think of? January is the official one at the moment, but Chinese New Year comes on February 19 next year and March was the European New Year until a few centuries ago. July begins the new financial year. November brings Advent and the beginning of the Church Year. And that’s just off the top of my head – which means that if you want to celebrate a New Year you never have to wait long to do it. Which means that if you want a chance to start over, it’s always theoretically available. And I think we need new years, new starts. I think it’s a very human impulse. We make a mess of things and we want the chance to start over. I’ve gotten really tired in recent years of hearing interviews with athletes who say, “I’ve just got to put it behind me.” Some of them have pretty much used up the space behind them. Politicians too. Wouldn’t Washington like a chance to start over in Afghanistan and Iraq? You look back and you see a trail of devastation, broken relationships, broken lives, things no human power can set right, and you can’t just start over as if it hadn’t happened. The money you spent on weapons is gone. The lives sacrificed are gone. You can’t bring them back. There’s a terrible finality to our actions and no way to reverse time. It’s no wonder the concept of a new year, a new beginning has such appeal. A sermon preached by Christopher L. Webber at the Church of the Incarnation, San Francisco, on July 21, 2014. The gospels last week and this week are giving us gardening lessons and that’s useful in mid-July. 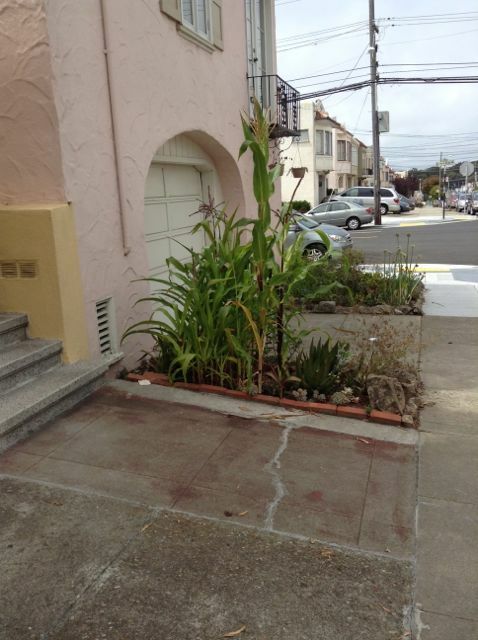 I was coming up 23rd Avenue last week and somewhere between Judah and Lawton I came across a garden about two feet wide and four feet long where someone was raising corn. Now, the Bible tells us that God made us to take care of a garden and that’s still a very strong instinct in lots of us and we try to act on it even in the unpromising soil of 23rd Avenue. I think that’s why the Bible gives us lessons in gardening. Now that’s great advice: always put off til tomorrow what you don’t want to do today! You know, there are people who read Jesus’ parables and say: “See how much he knew about sheep or about housekeeping or about fishing. But did he really understand gardening if he thought you didn’t need to do weeding? Would this approach really work? Actually, It just might, in some cases. When I used to pull up the weeds in the corn, for example, some of the corn would tend to topple and I’d have to hill it up to keep it from falling over. If I left it alone it might do better. I remember a time when I was pulling up weeds around the tomatoes and found myself with an uprooted tomato plant in my hand. You get careless and lose what you were trying to save. What is God Doing Now? A sermon preached at the Church of the Incarnation on June 22, 2014 by Christopher L. Webber. The Diocese of CT is the oldest diocese in the Episcopal Church and every bishop they ever elected came from inside the diocese and knew how it had always been done. But then five years ago we elected a priest from Massachusetts: not that far away geographically but different just the same and we chose a priest who was also a seminary professor and a member of an international Anglican committee with broad exposure to the wider church – and new ideas. And this new bishop, Ian Douglas, did something unprecedented, you might almost say, unAnglican: he asked not “What have you always been doing?” But “What is God doing now?” And even though no one had any good answers, he kept asking. After all, there used to be over 200 parishes in CT and now there are only about 170 So maybe it’s time to ask whether the way we’ve always done it is the way we ought to keep on doing it – whether it’s still effective – and maybe it’s time to ask what we ought to be doing or better yet, what God is doing. What is God doing in the Diocese of Connecticut is part of a larger question that includes what is God doing in the Church of the Incarnation and goes back to such questions as what was God doing in the story we read this morning of Hagar and Ishmael. The background of that story is the story of Abraham and Sarah, that they were childless, that Sarah suggested that Abraham take her maid, Hagar, and have a child with her. So Abraham did and that was fine until Hagar began sneering at Sarah – “I have a child and you don’t” – which naturally annoyed Sarah to the point that she complained to Abraham who said, “Look, she’s your servant; Do what you want.” So Sarah began being nasty to Hagar and Hagar ran away. But God sent an angel after Hagar who said, “Look, you will have a child and you will have descendants beyond number, so get over it and go back and put up with it.” So Hagar went back and had a child named Ishmael and things went along pretty well until Sarah also conceived at last and had a son. But now, of course, Sarah was unhappy again because she saw the two boys playing together and her son was the smaller one and she worried that Ishmael, who was the first-born after all, might be the one to inherit the property.